Today, we are offering our weekend 3-course “Menu du Jour” with detailed recipes from the Art of the Home kitchen. Going to a restaurant is lovely and exciting but bringing the restaurant to our home can be such a nice experience as well. If the weather is accommodating, you may even be fortunate enough to set your table outdoors and enjoy the fresh air of a Spring evening. So bring out your nicest plates and silverware, nicely fold your favorite napkins, light up some candles, put some nice music on, and most importantly relax to enjoy a lingering evening with good company. 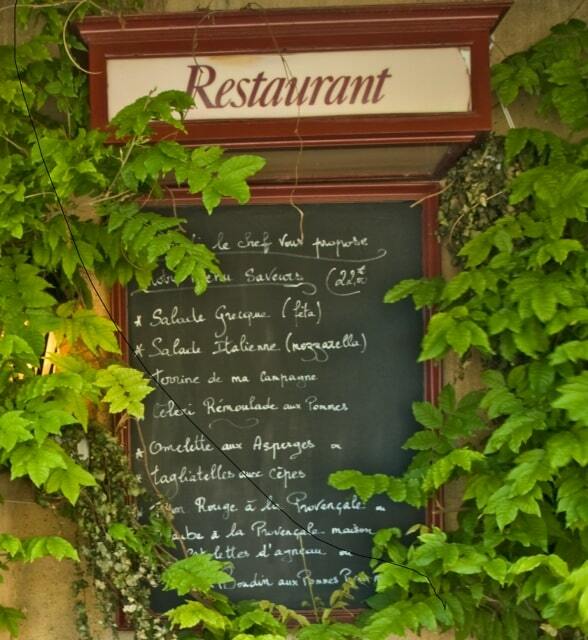 For a sample menu, check “Art of Home Menu du Jour” below or you can simply create your own. Any menu with pasta and Chianti enjoyed on the deck or in the garden qualifies as an Italian night al fresco menu at Art of the Home! So feel free to adjust our sample menu as you wish — enjoy and bon appétit! Wishing you a lovely evening! — Nous vous souhaitons une belle soirée!